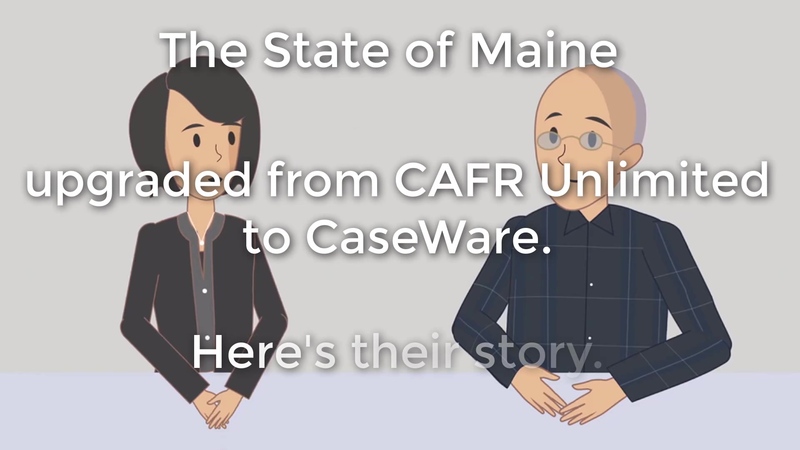 The State of Maine is thrilled with its new automated approach to preparing the CAFR (see the resulting document here). We interviewed them to learn more, and share their insights with others considering a CAFR automation project. Q: What are your names, and titles? A: Sandy Royce, Director of Financial Reporting. Thomas Randall, Financial Management Coordinator/Principal Audit Analyst. Q: What is a CAFR? Why is it so important to the State overall, and you in particular? A: The CAFR is the Comprehensive Annual Financial Report. The Government Accounting Standards Board (GASB) dictates the requirements for the report. The report is also audited annually, subject to the requirements of the Single Audit Act of 1996 and CFR 2 § 200 (referred to as the “super circular”) for entities that receive funding from the U.S. government. Additionally, the CAFR is reviewed by the Government Finance Office Association (GFOA) and measured against the standards set forth by the GASB. Quality CAFR reports receive a Certificate of Achievement for Excellence in Financial Reporting from the GFOA. Finally, the report is used by bond rating agencies to establish Maine’s bond rate. Q: What was your business process to tackle the CAFR previously and how much time did it take? A: We import a trial balance from our accounting system that is formatted for use by our reporting application using Excel. We request information from numerous state agencies and other sources for the purpose of posting adjustments (over 300 manually entered adjustments and over 100 “auto-reversals”) to account balances and compile other information for note disclosures, required supplementary information and statistical information. Our previous CAFR reporting software generated only numerical financial statements in Excel format. Narrative information was generated with Word. Desktop publishing was a completely manual process that involved converting multiple documents into PDF format and compiling numerous PDF documents into one published document. The entire process began with some “prep” work in August, with the full commitment of all five members of the financial reporting team beginning in September. Draft financial statements typically were issued by approximately the second week in December and often the Auditor’s Opinion letter would not be received until the last week of December, with the deadline to qualify for a Government Finance Officers Association Certificate of Excellence being December 31. A significant amount of time involved in generating the CAFR requires the compilation of information, making calculations, documenting, reviewing and filing workpapers for review by our Auditors. Additionally, we are the reporting entity for several component units, who must complete their financial statements before we can include their information in our statements. Thus, it would be difficult to push the timeline back further than approximately December 1st. Q: What product were you using before and why did you want to switch? A: We used “CAFR Unlimited.” The product was a Microsoft Access based application that was originally developed by a lone developer and sold to a software development company. The company discontinued support for the original application and planned to convert the application to a networked, SQL server platform, but discontinued support for that product as well. The product was simple to use and worked well for us. But, it had no desktop publishing capabilities. The reports that CAFR Unlimited produced were all Excel based reports. Thus, we switched, number one, for the lack of product support; and two, we wanted a more robust product that provided publishing and workflow capabilities. Q: When you decided to look elsewhere, how did you hear of us? A: A former employee of the previous vendor recommended CaseWare and FHB. Q: Did you look at other solutions and if so, what was the key factor(s) in choosing our solution? A: We were provided with demonstrations of other products, but none of them had all the capabilities that CaseWare offered. We also liked the staff at FHB and felt comfortable that they would provide excellent customer service. After a demonstration of CaseWare, we were instantly intrigued by the product. When we asked the presenter “will CaseWare do this?”, the answer was in most cases “Yes, this is how that is done.” The decision to go with CaseWare was easy. Q: Were you concerned about dealing with someone other than the software vendor for implementation? A: No, not at all. In fact, after the implementation, we had a couple of minor “glitches” to resolve and in a least one case, F.H. Black resolved the problem quicker than CaseWare International’s support staff. So, we’re very happy we have the support of FHB. Q: Were you initially concerned about working remotely or working with a Canadian company? A: We had no concerns about working with a Canadian company. We were initially skeptical of working remotely. But, remote screen sharing and group calling technologies worked very well for us. And, FHB always kept our scheduled appointments. Q: What process did you follow to implement CaseWare? We installed CaseWare on our computers and received four days of training from an F.H. Black consultant in two separate 2-day sessions. We provided the consultant with the prior year CAFR and our previous trial balance “crosswalk” or “rollup” codes. The consultant recreated the prior year’s statements, notes, and various schedules based on Governmental Accounting Standards Board (GASB) templates. Through online “Goto Meetings” we met with the consultant at least once per week to discuss questions he had and offered our comments about changes that needed to be made. During this process, the consultant maintained the “master copy” of the CaseWare Working Papers file. Once the prior financial statements had been substantially recreated, the consultant performed a “roll-forward” to create the current year (new working papers file) financial statements; and control of the master copy was handed off to us. We entered adjustments to account balances as usual during the report compilation period. During this period, we continued to make editorial improvements to the CAFR report with the help and support of FHB. The final step of publishing the CAFR merely involved “hitting the print” button. A: It was a lot of work and required the effort of five of our staff as well as three of F.H. Black’s staff. Considering that our CAFR is an extremely complex and detailed 250-page document, the process went quite well. Q: How many team members at the State worked with the CaseWare software? A: Our financial reporting team that use CaseWare regularly during the “reporting season” consists of five full-time employees. Q: From your perspective, how is the State in a better position now as compared to with your old solution? Is the process faster? Could you estimate the time savings or provide any examples? A: We believe we are using a much better tool than before. We are comforted in the fact that we have support of a company with knowledge and expertise in financial reporting and supports mature industry-leading software with an international presence. It’s difficult to measure “fast” in our circumstance. CaseWare’s strength is with its desktop publishing capabilities. But, in terms our timeline, since we are a relatively large governmental entity, we post numerous adjustments (approximately 300 plus), that must be processed through our rigorous documentation and review process. This takes a tremendous amount of time regardless of the tool(s) used. CaseWare does save us the time and tedium of having to manually enter every adjusting journal. At the end of the reporting process, we used to compile numerous Excel workbooks and Word documents, send files to a “PDF printer” and import many PDF files into the final published version. Since individual documents came from so many different sources there was no consistency in page margins, page numbering, fonts and font sizes, etc. CaseWare is “heads and shoulders above” our previous software in terms of the quality of the published report. We also believe the overall integrity of the report to be much better and the risk of errors and omissions is less than before. Q: What are the biggest benefits of the CaseWare tool vs. your old system? A: The biggest advantage is the desktop publishing and the ability to reference values between statements to ensure that all values agree. Our prior reporting application had no desktop publishing capabilities. The exceptional feature of CaseWare is that anyone can see a real-time view of the draft report at any time during the report compilation period. You don’t have to wait until the end of the process to view a compiled “camera ready” draft product. CaseWare provides the ability for the user to formulate unlimited diagnostics and analytics to ensure the completeness, accuracy and integrity of the final product. CaseWare allows the user to easily generate customizable reports using its “automatic document” functionality. These reports were invaluable in establishing and verifying account rollup balances during the implementation phase and the reports were extremely useful for auditors as well during the first year of our CAFR reporting. Our old system did not allow the user to save customized worksheet reports; whereas CaseWare allows users to create as many “worksheet” reports as desired and organize them anyway they want. Our prior tool allowed for the import of the trial balance only. CaseWare allows user to import trial balances, budgets, revenue forecasts, performance measures, and even adjustment data from properly formatted Excel workbooks. The import functionality is extremely convenient as it eliminates the time and tedium of entering data that we’ve already “crunched” in our complex Excel spreadsheets. The import functionality also limits or eliminates data entry errors. Q: What was your experience with FHB like? A: The consultant assigned to our project has over ten years of experience, his combined background in accounting and computer programming and technical acumen makes him an invaluable resource for us and FHB. Q: Did you feel like we carefully managed the project, knew and met your deadlines etc.? A: Yes. We were very clear in communicating our timeline to FHB. We had established a reasonable timetable at the beginning of the implementation project. We believe that effective planning and communications by all parties was key to the success of the project. Q: What was our client service like? Did you feel like you were well taken care of and that your concerns were heard, and your questions answered etc.? A: We believe FHB’s customer service is “top notch.” The team made a concerted effort to understand our requirements and concerns. We participated in periodic “how’s everything going” meetings. We got the sense that FHB strives for continuous improvement in servicing its clients; and is genuinely concerned about its clients’ opinions and satisfaction with FHB’s products and services. Q: How well did we communicate? Were we clear and concise, were we readily available to discuss your concerns? Did we do a good job of setting expectations and keeping you updated each step of the way? A: The consultant assigned to our project was extremely knowledgeable, helpful, easy to work with, and explained every detail of the technical, “under the hood” aspects of CaseWare whenever we had specific questions about how the application works. Q: Is there anything you wish you knew at the beginning of this process that you know now? Advice for others considering a similar CAFR automation project? A: We can’t think of anything that we wish we knew at the beginning of the process. However, as one would expect, the more complex the set of financial statements, the more lead time an entity should provide itself to implement CaseWare. Our CAFR is 250 pages that includes introductory information, management discussion and analysis, basic financial statements, notes to the financial statements, required supplementary information, notes to the required supplementary information, combining and individual financial statements, and statistical schedules, all prescribed by GASB standards. We started our implementation project in April of 2017 with training. The recreation of the prior year’s financial statements, to be used as a template, took place from May through August. The generation of the current year’s financial statements occurred during the usual time frame from September through December. We completed the published report approximately two weeks ahead of the usual timeframe. As with any project, proper planning, delegation of tasks, and adherence to deadlines is important to achieving a successful outcome. 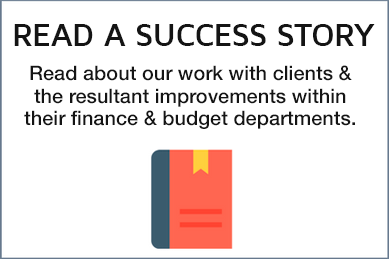 Q: Would you recommend CaseWare to other state or local government finance departments and why?